Another way to grab the attention is to post consistently on your website. There are many things that you could share and this is how you build true and organic audience. If your content is good enough, you will get their email and their engagement later. For one, share helpful articles about making music, promoting music and so on. There are many options and topics to cover here. You can share this content in the form of a video or text, whichever works best for you. You could also sing or play covers and let people hear how you sound. This is a great way to promote your music, especially if you do popular songs. You could also share snippets of your life, your creative process and so on. "The trick is to go where your ideal audience goes. Find people who would love your music and interact with them. Invite them back to your site, talk to them and so on. A good fan base can be half the job with promotions later but this is something you have to start early on as well. Engage and interact with your audience if you want them to get involved with your music," says Valentina Valdez, a creative writer at Boomessays and Essayroo. Having social media accounts is a good way to start. 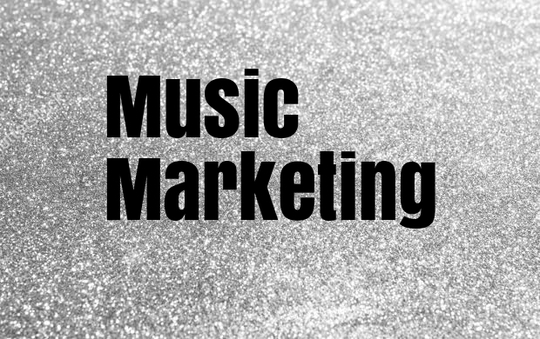 However, just posting your music blindly or sharing your website content isn't going to do you much good because the messages are not targeted and the right audience might miss it. Instead, you should join Facebook groups, Twitter discussions or groups, Pinterest boards, Tumblr blogs, LinkedIn groups, Instagram groups and so on. All of this gives you exposure to the right kind of people. A middle-aged woman on your friend list on Facebook isn't going to care much about your indie tracks but a girl looking for great yet unknown indie artists in a Facebook group dedicated to that kind of music will. One of the things that fans really like is having some backstage access. This means that you should share various images, videos, articles and so on that show you while working. Your creative process is interesting and inspiring and it gives people a sense that they know you a bit better. Share it with them and don't hesitate to talk about your struggles and issues with making music, with life, love and so on. Just do it tastefully, without sounding too desperate. People who engage with you on a frequent basis and share your videos, posts and so on can be called your super fans. These people, no matter how weak in numbers are your strongest asset. Treat them as such. Offer exclusive content, meetups or simply make sure that you respond to them each time they engage with you. They will share your music with other people and help you as much as they can in making your dreams come true. In order to get all of the information you need to attract the right audience, you need to do research. Investigate where your ideal audience gathers, which topics interest them, what they like and dislike in content and so on. "Don`t release your album right away. Wait for a bit and build anticipation. Share teasers and posters, gig dates and so on. Be a little mysterious - everyone likes a good mystery - and then release your album as a reward," says Hewitt Duncan, a marketing manager UKWritings and Academized. Create a brand and make sure that every element of your promotion and website are in accordance with it. This helps you become recognizable across platforms and helps you build a strong fan base. Getting people to listen can be hard in the world that's full of noise. However, with a solid start and a good fan base, you can do it. Just remain strong and consistent. This guest article was written by Grace Carter, a content marketer at Write My Essay and Assignment Writer services. She follows latest tech trends, researches marketing automation and writes educational articles. Also, Grace teaches business writing at Paper Fellows portal.